Actress and model Paris Jackson is spotted heading out to lunch with a group of friends in New York City, New York on March 21, 2017. Paris Jackson channeled her inner hippie with this peace sign pendant. Paris Jackson was spotted out in New York City wearing a casual layered cut. 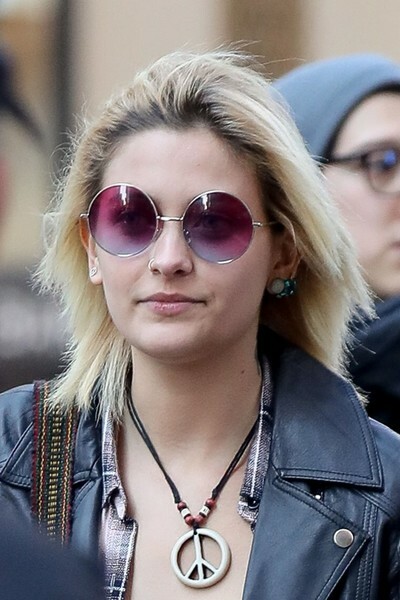 Paris Jackson shielded her eyes with a pair of purple round shades.